If you’re in search of used office furniture for your business in Kennesaw, Georgia, or any surrounding community, turn to NorthPoint Office Furniture. We have an expansive inventory of pre-owned office furniture, all of which is in exceptional condition, comes in a wide variety of styles, sizes, and colors, and includes items from the industry’s top brands such as DMI, HON, Cherryman Industries, Martin Home Furniture, La-Z-Boy, and many more. 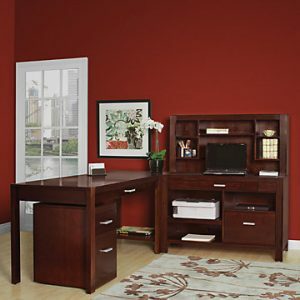 So whether you need a large, sturdy desk to furnish a home office or you need to add workspaces for new employees at a corporate office, the experts at NorthPoint Office Furniture can help you find the furniture items you need. For office furniture on a budget, the gently used office furniture we offer at NorthPoint Office Furniture is the perfect solution. You can visit our showroom to view all of our used furniture items, inspect their condition, and test them out for yourself before you make a purchase. If you prefer new furniture, we also offer a selection of beautiful laminate office furniture that is just as cost-effective as our used furniture collection. No matter what your requirements are for your office furniture, we are sure to have the option that best suits your needs and budget. To learn more about the used office furniture we offer in the Kennesaw, GA area, contact NorthPoint Office Furniture or visit our showroom today.